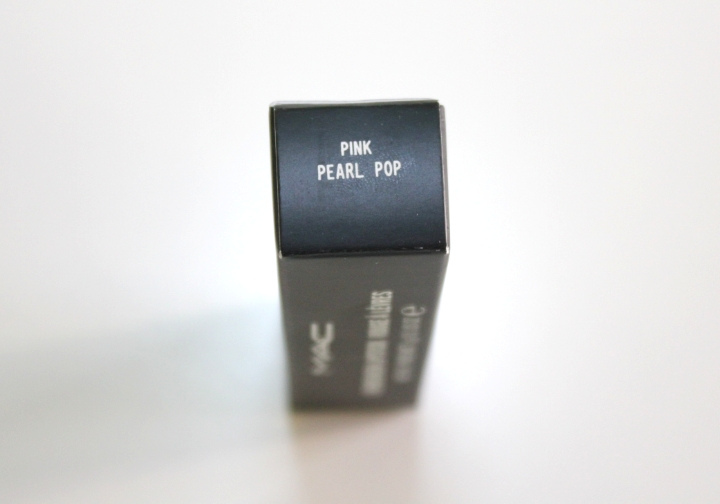 Pink Pearl Pop by MAC is a lipstick we have been meaning to get our hands on ever since it was released last August. 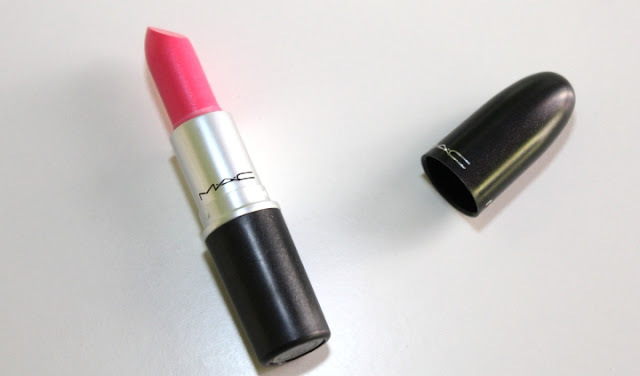 It looks a lot brighter in the tube than it does on the lips. The camera isn't picking it up here but when you look at Pink Pearl Pop in the tube you can detect a sparkle that I believe aids in the glossy appearance on the lips. As you can see it isn't too bright. 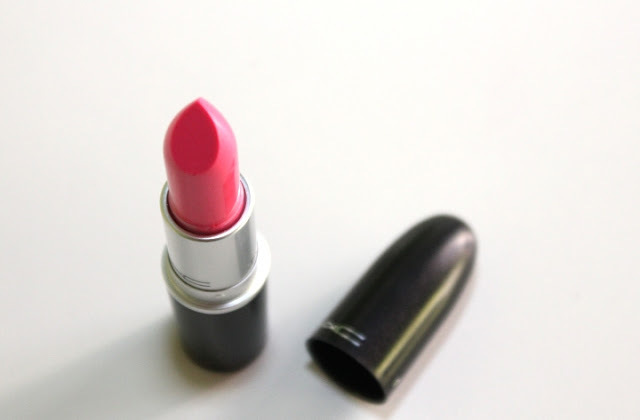 I would say it's a true bubble gum pink colour. 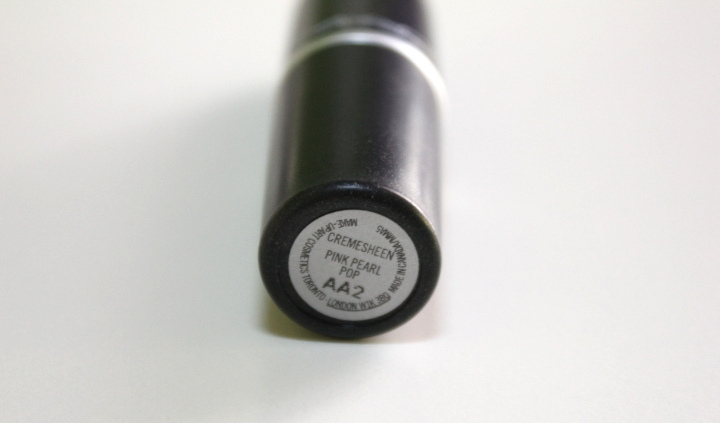 The blue base and the sheen of this lipstick really help to make your teeth look white. I will say you do need to apply a few swipes to achieve full coverage however it doesn't deliver full opacity. Your lip colour continues to show through, somewhat. 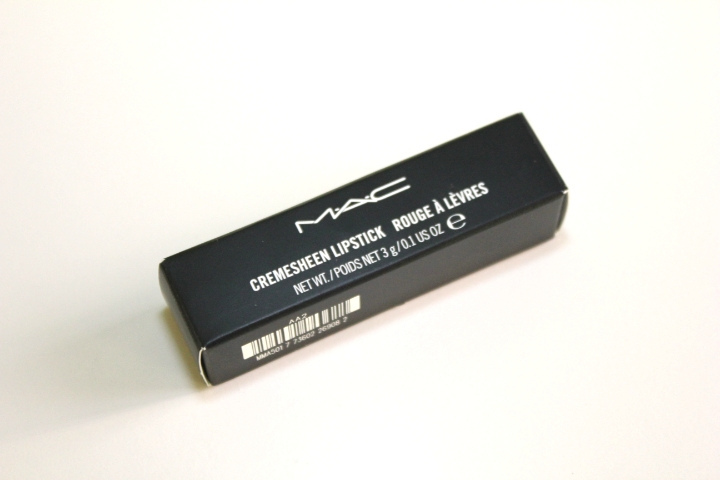 As with many cremesheens, it will need to be reapplied throughout the day. Having said all that I do love the colour of this lipstick and I am definitely pleased to finally own it.